As a Registered Exercise Professional, your ongoing professional development involves obtaining 20 Continuing Education Credits (CECs) over a two-year registration period. 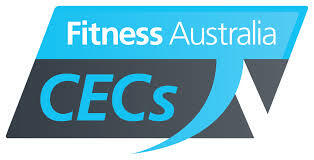 Fitness Australia awards CEC points and REPs NZ awards CPD points for successfully completing our courses. Below is the amount allocated to each course. Punchfit® provides maximum CECs from fitness Australia for personal trainers Seeking Boxing CECs accreditation for boxing padwork both Nationally and internationally. As a registered exercise professional, your ongoing professional development involves obtaining 20 Continuing Education Credits (CECs) over a two year registration period. Earn over 27 CECs through Punchfit® one day accreditation padwork courses. Get your Boxing CECs today!